After demolishing bricks and mortar retailers, grocers, and more recently, pharma outlets with ambitions to take on the big banks soon, Amazon has decided to conquer yet another market. The Information reports that Amazon Web Services, the company's fastest growing and most profitable segment which already dominates the market for cloud services, is now eyeing a part of the cloud business it doesn’t already control: the $14 billion global market for data center switches. AWS is considering selling its own networking switches for business customers—hardware devices that move traffic around networks, according to a person with direct knowledge of the cloud unit’s plans and another person who has been briefed on the project. 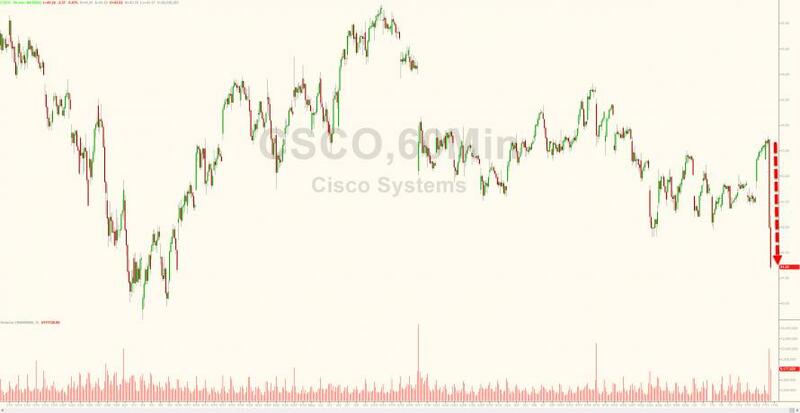 The plan could plunge Amazon more deeply into the lucrative enterprise computing market, posing a direct challenge to incumbents in the business like Cisco, along with Arista Networks and Juniper Networks. In kneejerk reaction, switch and enterprise computing providers such as Cisco, Arista and Juniper all slumped. ... as Elon Musk appears set to alienate and challenge virtually every other CEO in the world.